What are we all about as a church? We are about faith in Jesus as the salvation for our sins, following him as his disciples, and proclaiming his salvation to others. God is Father, Son and Holy Spirit in a perfect Trinity of three persons yet one God. Jesus, the second person of the Trinity, was both God and man. His death takes away the sin of the whole world, but he calls each of us to be one of his disciples in order that we may accept for ourselves his free gift of salvation. Our job is not to be perfect (and God knows that we are not) but we are forgiven in Him. This salvation we must proclaim to others. We do this through our collective worship, our personal prayer and scripture reading, our seeking to follow his leading through the Holy Spirit, and as the Spirit leads, to tell others about salvation through Jesus Christ. 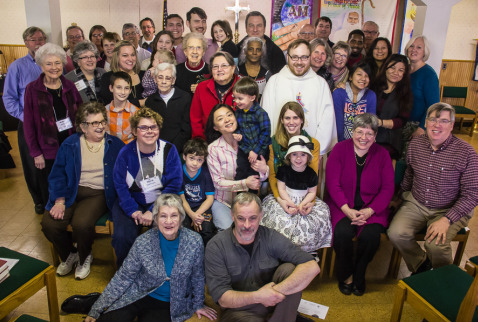 We are Anglicans, meaning our worship is historical, liturgical, and connected to others around our country and the world. This faith in Jesus is relevant for our lives today. We are called to follow Jesus as our Lord and God in communion with others. Join us!